Many organizations struggle with their cloud business intelligence implementations. Here are the key considerations to look at before embarking on your own cloud BI initiative. By working on consulting projects related to cloud BI implementations, I have seen firsthand some organizations that are too willing to adopt solutions and leverage cloud based on brand awareness or what their friends and former colleagues at other companies are adopting, and not on a detailed evaluation of their business and technical needs. Organizations need to not only look at what their business issues are now, but also what they hope to achieve in the longer term to ensure the solution they choose provides the viability and extensibility they require to change and grow with their needs. This requires looking beyond brand or general requirements and towards strategic data driven BI initiatives. Selecting cloud for the sake of cloud is not a valid strategy. Organizations require the identification of their end goal and evaluate the best fit for their organization. With cloud becoming more widely adopted in the market in general, capabilities are more robust and can be comparable to on-premises analytics solutions. Organizations should identify whether acquiring new or additional hardware and paying for support and licensing long-term is more beneficial than paying a subscription fee and turning BI consumption into an operational expense. Capex projects will cost more initially, but their maintenance may be lower, while opex expenditures in the cloud may cost less to implement but can be more expensive depending on the scope and expansion of the project. Where does data currently reside? For organizations already leveraging data in the cloud, a cloud BI solution may be a natural transition. For instance, any companies leveraging cloud-based operational solutions choose to expand their use to include analytics. Other organizations may have to integrate data from on-premises solutions, which may require other different efforts of data integration. What risk, privacy and security considerations are required and how/will cloud affect any procedures or parameters that exist? Industry specific risk and security regulations put added pressure on organizations to comply with requirements and require extra consideration when looking at cloud-based BI. Many cloud providers develop their platforms with the ability to support privacy and security parameters required. Organizations going this route avoid having to manage these requirements internally. What data governance and data management procedures/programs are in place? Many organizations overlook the concepts surrounding data governance when thinking of a cloud BI implementation. As solutions become more complex and disparate data systems require consolidation, data quality and governance requires help ensure information reliability and validity over time. Cloud BI may require both on-premises and cloud data sources and therefore require a more robust way to manage data integration requirements and data integrity over time. How will data be integrated? This is an extension from the conversation surrounding data governance but is an integral part of any solution. Data has to be sourced and stored somewhere. Identifying these requirements and any complexities that might exist should be defined beforehand. In many cases, connectors exist, but solutions may also be developed with cloud-to-cloud efforts in mind. End-users probably will not notice any difference. IT departments may have a preference of how to deploy cloud – by leveraging a third party or by enabling cloud access but having the platform and/or solutions managed internally. This will fall outside the scope of business requirements and will fall within the parameters of required technical details and preference. Both options provide security required, however many organizations with sensitive data (i.e. 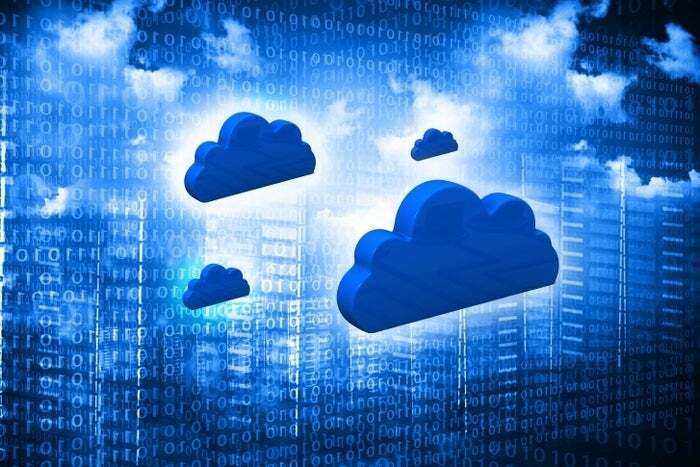 financial services) tend to prefer private cloud options. What types of services are required? Identifying analytics requirements means identifying the capabilities required for success. Within a cloud environment this includes evaluating the level of managed services required vs. doing it yourself. Cloud options are more likely to have service options and make departmental and business-focused initiatives easier to get off the ground.